Lid Size: 22-1/4" x 46-1/2"
With the Gelco Model D 17 in. x 41 in. Base Stainless Steel Multi-Flue Chimney Cap's weld nut technology, you can say goodbye to stripped threads forever! 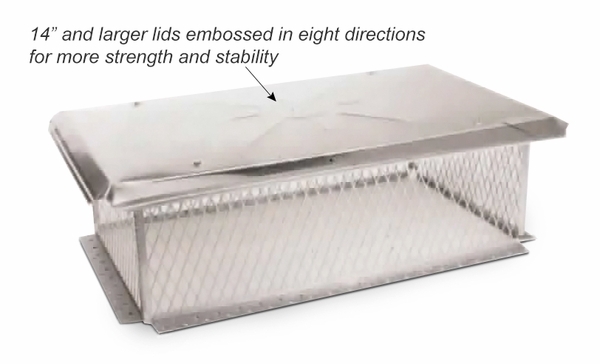 The weld nuts on the top mounting strip give you choice of two ways to attach the lid. Use traditonal cap screws or use the wing nut option. Both are included -- you choose which one to use. Don't trust your home and your chimney to just any old chimney cap. Get the best by getting the Gelco Model D 17 in. x 41 in. 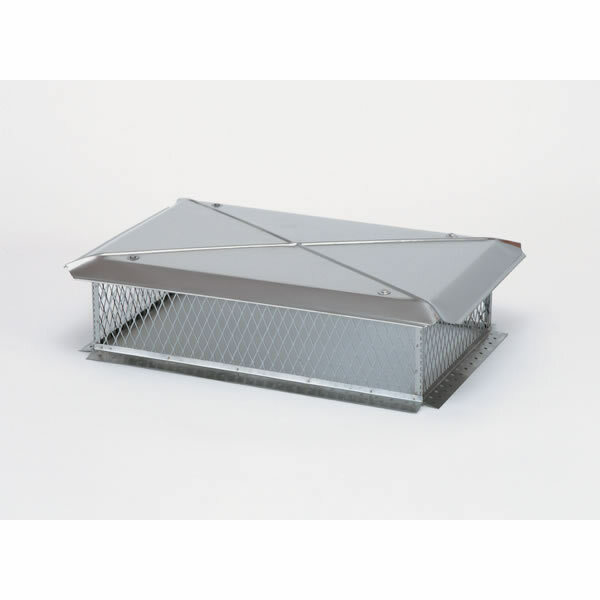 Base Stainless Steel Multi-Flue Chimney Cap for your home today. Please Note: If your flue tiles extend more than 3 in. above the chimney crown, use a chimney cap with larger screen heights. Examples are the Chimney Protector with 10 in. or 12 in. high screens or the knock-down models of the Gelco Stainless Steel Multi-Flue Chimney Top with 12 in or 16 in screen heights.